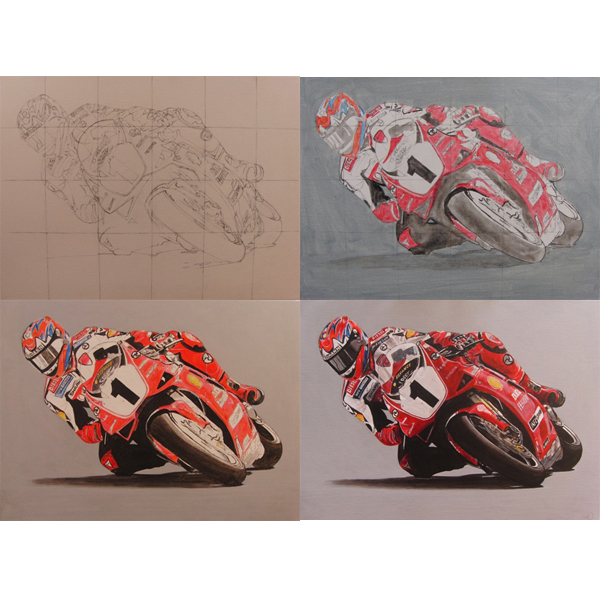 Here is what I have been doing for the past few weeks – work in progress shots and the finished painting of the 4 time World Superbike Champion (1994/95/98/99) – Carl Fogarty. Reference taken from the internet (DAIDEGAS.IT). ← Have You Seen …?